Best Smartwatch: Samsung Gear S2 vs Apple Watch vs Pebble etc. Read our reviews of the best home security systems on the market, with pros, cons, pricing, and more. 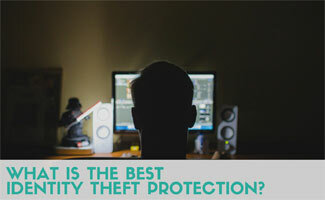 Read our reviews of the best identity theft protection services with pros, cons, pricing, and more. Learn to keep your identity and your personal data safe while at home and on the road with a Virtual Private Network (VPN) connection. 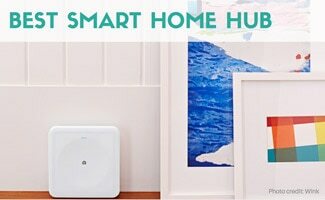 Smart hubs help you control all your home's smart devices. We bring you the best ones, with consumer feedback. Everyone wants a smart speaker so you can be like the Jetsons. We compare Amazon Echo, Google Home, and Apple HomePod. 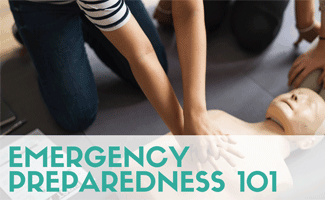 Our experts help you prepare for the unexpected. We bring you the best survival kits, natural disaster preparation lists, and more. You've got your hands full as a new parent. 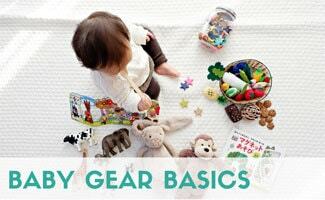 We've got your back with our baby guide that covers everything from car seats to baby monitors. 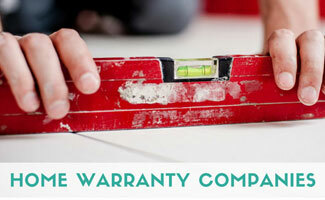 Learn all about home warranties, what they may cover, and whether you really need one. We also review top providers and compare costs. 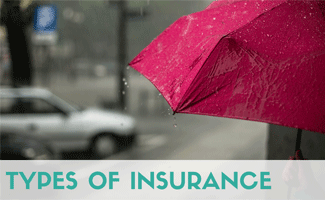 Our experts bring you the lowdown on different types of insurance policies, and which ones are worth it. We cover health, life, homeowner, auto, and more. Wearable tech is everywhere. Smartwatches can do a lot more than just tell you what time it is. Will a smartwatch replace your smartphone? It’s time to hop on the bandwagon and find out what makes these hot accessory more than just a trend (and worth the investment). What Is A Smartwatch? Will A Smartwatch Replace My Phone? Our research indicates that smartwatches are not meant to replace your smartphone (at least not until they find a way to replicate the large screen capabilities). At the present moment, they are meant to enhance your connectivity and communication. This can save a great deal of battery life on your smartphone if you aren’t constantly pressing the home button to see if you have any new notifications. What can a smartwatch do? They have the ability to notify you of call, text, app and email alerts. Some can control music while others have fitness tracking capabilities. Different smartwatches may appeal to you over others depending on your interests. We chose the best smartwatches based on platform, features, fashion, price and more. Apple Watch Series 4 watch is the latest in the Apple watch family. Similar to the 3rd generation it features cellular in addition to GPS so you can leave your phone at home. The improvements from the 3 series is thinner, larger screen, faster processor, fall detection and improved display (among others). The watch looks like a mini iPhone on your wrist, and it can basically do anything your iPhone does. This includes making calls, sending texts, checking the weather, talking with Siri, music control and more. There are other things included that your iPhone can’t do, like draw a sketch and send it to another smartwatch user, or track your heartbeat. Despite rumors that this smartwatch would fall in line with Apple’s gadget naming convention and be called iWatch, the official name is Apple Watch. Wondering how the Apple watch compared to other smartwatches? Read on to find out in our review of other pros and cons of smart watches. You just can’t beat the quality and service you get when you purchase a product from Apple. That’s why we’ve chosen it as the best smartwatch for iOS. The first edition was released in April 2015 and it is now in its fourth edition. The downside is that it’s only compatible with iPhones, so if you don’t have an iPhone, look at our Android choice. Price is determined by the watch face size and the style of band and watch. Check out this video to see all the slick features and the latest and greatest Apple watch in action. We have chosen the Samsung Gear S2 as our pick for best Android smartwatch. Samsung Gear S2 allows you to make and answer calls, as well as check your texts, emails and updates. A heart rate monitor is included to help track your activity. The Find My Phone feature can be handy if you’re one to misplace items. You can also stream and listen to music from your smartwatch. It has a great battery life, Samsung claims you can get up to three days, which is one of the best we’ve seen in regards to smartwatches. Customers also like that it looks like a normal watch, it’s not too flashy and it doesn’t stick out. In August 2017, Saumsung released the new Samsung Gear S3. The biggest difference is the style with a larger, more classic face watch design. As with any newer model, it comes with a slightly higher price tag. It has all of the same features as the S2 (water resistant, 3-day battery life, incoming calls, sync with Android) but adds a built-in GPS. The S3 is currently only available in a men’s version (versus the S2 which is unisex). ATM (Atmospheres) – the amount of water pressure a watch can withstand before it is harmed. For example, a 10ATM watch can withstand about 100 meters of water depth. IP (Ingress Protection) – when followed by the numbers after, it stands for its protection against dust and water. Dust-resistance levels go from 0 to 6 and water-resistance goes from 0 to 9. For example, IP 68 = 6 protects against dust, 8 protects against water (down to 2 meters). Below is a list of other smartwatches we reviewed for this article. Click on the name below to learn more about one specifically, or scroll down and learn about each product individually. Cogito offers three different watches: Cogito Classic, Cogito Pop and Cogito Fit. All versions appear to have a more athletic look as opposed to a professional look. These watches may be difficult to dress up for a formal event or for work. Cogito does the basics: caller ID, email, text and social media notifications, etc. One cool feature is the Find Phone/Watch function. This function allows your watch to find your phone and vice versa. The Cogito watches are similar to regular watches when it comes to the battery style. You don’t charge these watches at all. Instead, the batteries last a few months and you replace when needed. The watch alerts you when the battery needs replacing. Cookoo displays tons of notifications including: calls, social media, calendar reminders, text and emails. The watch alerts you when you are too far out of range for your watch and phone to sync up. 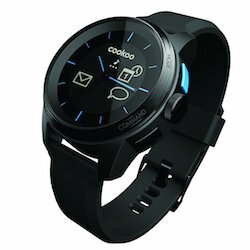 Cookoo has music control capabilities and a Find Phone/Watch feature. One unique feature is that it alerts you when your phone has a low battery. The LG Watch Urbane 2nd Edition is fully customizable and includes many fitness tracking features. It can make calls, read texts, send messages…basically do everything your smartphone can do. The battery life isn’t the best (you must charge it daily) and it has limited iOS features. So if you’re an iPhone user this may not be the best option for you. Martian watches have a large number of features. They offer different style watches in various colors, but more specifically, we’re going to talk about Martian Active. The watches send alerts regarding call, text, social media, weather, email, calendar, games, bank account, fitness and more. You can tap the watch glass to dismiss notifications or recall them. In addition, you have the ability to customize vibration patterns to distinguish between the different notifications that you are receiving. 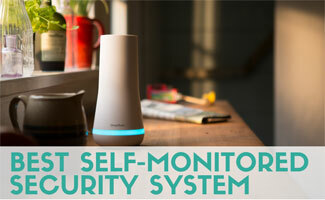 A silent alarm can be used so you don’t wake up others with the typical loud alarm. Martian smartwatches have a Find Phone feature that will activate a tone on your phone to help you locate it. These watches can also be used as a camera shutter control for smartphones. The top-tier smartwatch offered by Martian is the Active collection which offers five different face and band options ranging from casual to dressy. Meta Watch is no longer in our review because they no longer offer smartwatches for sale. Motorola Moto 360 2nd Generation has high quality performance. Although this smartwatch is Android only, it has one of the largest number of features of any smartwatch. You can set reminders, get directions, track your fitness and more with this watch. It has a flat watch face for a more modern look. You can use Google Voice to send texts or read texts when you’re on the go. Pebble started our as our #1 pick, dropped to the #3 pick and is now not among the top contenders for us. We still think Pebble is a great smartwatch, but other companies are coming out with better versions quicker than Pebble can keep up. Their most recent watch, the Pebble 2+ heart rate, is a fitness tracker and a smartwatch in one. While we respect that Pebble is not conforming to the sleek, modern designs of other smartwatch competitors, we can’t help but think this watch looks like something you’d get out of a 1990s vending machine. The graphics look outdated, giving this watch an unfashionable feel to it. Design aside, Pebble watches perform great. Pebble integrates with Jawbone UP to give it fitness tracker capabilities. You can track your sleep, swim, bike, walk and run activities with Pebble. This device also has smart alerts for calls, texts and emails and you can control your music from your wrist, change your watch face to your preference, change the band and more. This smartwatch offers basic features like call and text notifications. One cool feature is Nabu Pulse. This feature allows you and other Nabu users to exchange contact info by a handshake or high-five. The downside is they only offer basic smartwatch features. So, if you’re looking for something more tech-savvy you may want to look elsewhere. 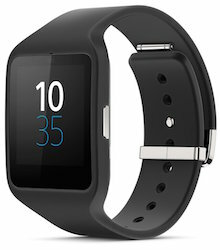 The Sony Smartwatch 3 allows you to view incoming messages and calls, set an alarm, change music and use your GPS without having to touch your phone. You can also view your calendar and check your social media platforms for updates. Which Watch Will You Wear? Some wearable tech trends come and go, but we think smartwatches are here to stay. Only time will tell (pun intended). As technology continues to improve, we’ll keep an eye out for the latest and greatest models to include in our review, so check back often. And if these are a little too techy and you prefer something a little more subtle, you might consider a fitness tracker which are slimmer in size and features; a great gateway into the smartwatch world. Are you considering getting a smartwatch? Which brand most appeals to you? Stay Safe and Smart by Signing Up For Our Free Monthly Newsletter! Kimberly received her Bachelor of Arts in multimedia journalism from Simpson College. Her natural curiosity helps her research as she seeks the truth when learning about, comparing and personally testing products and services. Kimberly has been writing about security and safety since 2013, covering subjects such as home security and automation, identity theft protection, home warranties, medical alert systems and more. In 2018, she had her first child, and that opened up a whole new avenue of security experience with baby gear. She wanted to purchase the safest items for her family. Security is a passion of hers, and she knows it isn’t a one size fits all category. With every piece she writes, her goal is to help our readers find the best fit for their unique needs. Haha. The typical Apple bias. Is this written for iOS users or all users? If it’s written for all users, then how could you pick a watch as being the best that is only compatible with one phone O/S? Bet let’s for argument sake throw O/S compatibility out the window. What do you think would probably be a criteria of most importance to most users, maybe, umm, battery life? With phone we are used to recharging them, not with watches. Any non-biased critical review of all aspects of the watch with importance places on the most significant criteria is going to point to Pebble. Those criteria are: price, compatibility and battery life. Hi Jeff, thanks for the comment! We’d love to explain our reasoning! Pebble was previously our #1 pick. We feel that Pebble still offers great smartwatches but during our most recent audit we felt that the iWatch and Martian had both excelled. We know that the iWatch is iOS only and that it has an 18 hour battery life. We have this noted in cons and we completely agree with you that these items could should change. However, when you compare all the smartwatches against one another we felt that the performance and the support you receive with the iWatch was at the top. As we noted in the article, if you are not an iPhone user you should move to our #2 pick, Martian. Martian works for both Android and iOS and has multiple styles. The usability and functionality is great, which is partially why Pebble moved down to #3. Pebble doesn’t allow you to send/read emails and texts, which is a huge function to not include. You only receive notifications. You can respond with your voice, emojis or prewritten responses but you cannot fully respond with your own specifics. So if you’re basing it off of what you consider to be the “criteria most important to most users” aka battery life then here’s what you’ve got iWatch is 1 day, Martian is 5 days and Pebble is 2-10 days (depending on the version you get). Which would mean the rankings should probably be Martian and Pebble in 1st and 2nd followed by iWatch in 3rd. However, it’s important to factor in other things like text/email functionality and overall performance. We do not base our rankings on price. This article is the Best Smartwatch Review not the Cheapest Smartwatch Review. As to your point about recharging your watch, I respectfully disagree with you. These are not your typical watches therefore the user knows that there will need to be a charge at some point. This is basically a smartphone on your wrist and we are all used to charging our smartphones regularly. I think most people will be ok with removing the watch at night and placing it on the charger. However, I understand that some people may warrant battery life higher than others. That’s why there are so many options on the market. I can promise you this is not a biased article. This is a huge category to cover and there are many smartwatches to choose from. Therefore people will have different opinions on what’s the best and different factors they are taking into consideration when choosing their watch. So it’s ok to have a differing of opinions. Thank you for taking the time to explain which watch you think is the best. It’s always great to hear what our readers think and overall it helps us provide better content in the future. Should you choose a Pebble watch as your smartwatch I’m sure you will have a pleasant experience. Pebble is still an excellent device and can provide a great deal of capabilities. Excellent points. But I disagree with the relative importance you are placing on the various criteria. (And it’s okay to agree to disagree. 🙂 We all have our own personal biases based on our own personal style of usage. The reason I place most importance on price and battery life is because (a) to utilize all the functions of these watches (except to tell time) you need your phone on you anyway, and (b) I like good value. I would argue, your phone has a better interface to perform almost all functions you want to perform. If the premise of reviewing these watches is that we are now all too lazy to pull our phone out of our pockets to send an email, then that’s a philosophical difference in what device is best for what function. Your review is still very useful information. Thank you. All great feedback Jeff! We have done articles before with “Best of” categories and they work out very well. I think this one could benefit from that in the future. Perhaps we can audit it that way at some point. I think your categories and winners would be the same as mine! You lost credibility when you include the iWatch which is not released, priced, reviewed or in production. In other words you’re not a believable source. Hi David, thank you for your comment and concern. I can assure you that we are a credible source in this category. You are correct, the Apple Watch has not been released yet and pricing has not been stated. However, if you read our article you will see that they are not one of our top 3 watches and the information and pricing we have listed has clearly been stated as rumors. We would lose credibility if we did not include one of the biggest smartwatch competitors in 2015 in our article. A rumored expected release date is March 2015, however, circumstances may change. We believe it is important to include the Apple Watch in this article so potential smartwatch buyers know their options. If one of our readers is getting ready to purchase a smartwatch we want them to know all of the features, pros, cons and more about the device so they know what to expect. I want to thank you for your comment and please let me know if you have any other questions about smartwatches. I’d love to help you learn more about this category. Pebble – Remote Camera. Paying for a feature that is free on competing devices but not mention that is disingenuous. SW3- Only sold through Verizon. I’ve found at least 24 online stores that sell it. Moto 360 (and all other Wear based smartwatches)- Remote Camera. That capability is available and free. Apple Watch- “Review”, I think not. Unless you physically used it, you cannot review it. IP68 Definition- Continuous immersion at depth set by manufacturer is IP68 as defined by those that set the standards. Completely ignored the dozens of other smartwatches on the market. Gonna stop there, but you get the idea. Pebble: Using the Pebble as a remote for your smartphone camera costs an additional $2.99. We stated that in the pricing section for the Pebble and in the comparison table. I can assure you we did not mean to come off disingenuous. We have now added it to the con section for Pebble to clearly state that others offer it for free. This is now mentioned 3 times in the article. Sony Smartwatch 3: You are correct. You can buy it online at many places including the Amazon link we have offered in the article. We only know of it being sold at Verizon when it comes to brick and mortar stores. However, if you know of other stores that sell the watch please let us know and we will definitely update that. Moto 360: Apologies for missing this checkmark in the table. We have updated it accordingly. Apple Watch: We never stated that we physically used the Apple Watch. It is a review in the aspect that it states the features we know to be true because of what Apple has released on their site and in their Apple Events. We will be updating this section of the article once more information is released and consumers are able to purchase and use the watch. Regarding this comment: “Completely ignored the dozens of other smartwatches on the market.” There are countless numbers of smartwatches on the market today and we know we haven’t reviewed them all. This is merely a review of some of the most popular smartwatches available. We invite our readers to request a review if they are curious about one and we do not have information on them in an article. If you’d like to make a request, please let us know. Our goal is to help our readers make an informed decision through unbiased reviews. I apologize if this article gave you a different impression, but I personally wrote this article and did my best to state the facts that I felt our readers would want to know. We are not paid to rank a company/product/service higher than another. I want to thank you for stating your thoughts on our post and I hope that my explanation above brings you some piece of mind. Thank you for the corrections. So is it wrong to assume that by “popular” you mean “popular in the U.S.” and not based on worldwide sales? For example, three of the top ten most sold smartwatches in the world in 2013 are still almost completely unknown to most U.S. consumers. That’s a really good question. By popular we mostly mean the most talked about, most anticipated or biggest name companies on the market. The products we chose for this article were based on what people in the U.S. were searching for online. These are products that consumers wanted to know more about in the U.S. This article is mostly directed to U.S. consumers and sales; however, those outside of the U.S. can use this article as well since the features for smartwatches are not different based on the country. All Content © 2019 Cover Story Media®, Inc. All Rights Reserved. Safe Smart Living® is a trademark of Cover Story Media®, Inc.